If you use Google Drive to store your music files too then you should be knowing the Google doesn’t have any utility to play music files directly from your Google Drive. If you try to play the file, Google will give you a message ” No Preview Available” and asks you to download the file. But there is a third party app which allows you to listen to your favorite music stored in your Google Drive. 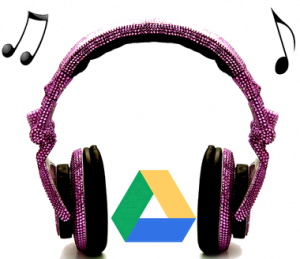 DriveTunes is an app for Google Drive which allows you to play music files in Google Drive. DriveTunes is a Google Drive App which can be installed from Chrome WebStore for Google Drive. You can install this app even while using Firefox as it is not added to your browser but is added directly to your Google Drive account. While installing DriveTunes you would need to grant few permissions to this app. Once installed and authorized, you need to click on your music file. Now Google Drive Viewer will show the message that it can’t play the file. Go ahead and click on Open With and Choose ‘Drive Tunes’ as shown below and that’s it. Now your music will start to play. You can use this app to play all the music files and DriveTunes also has shuffling and repeat a song feature. There are many other Google Drive apps that you would want to add to maximize your use of Google Drive.